Esports arenas, venues designed specifically for esports competitors and thousands of fans, continue to be built around the world. From Blizzard Arena in Burbank, CA, to HyperX Esports Arena in Las Vegas to the upcoming Esports Arena in Arlington, TX — and dozens more across the globe — these esports-specific facilities require a unique approach to serve a growing fanbase. 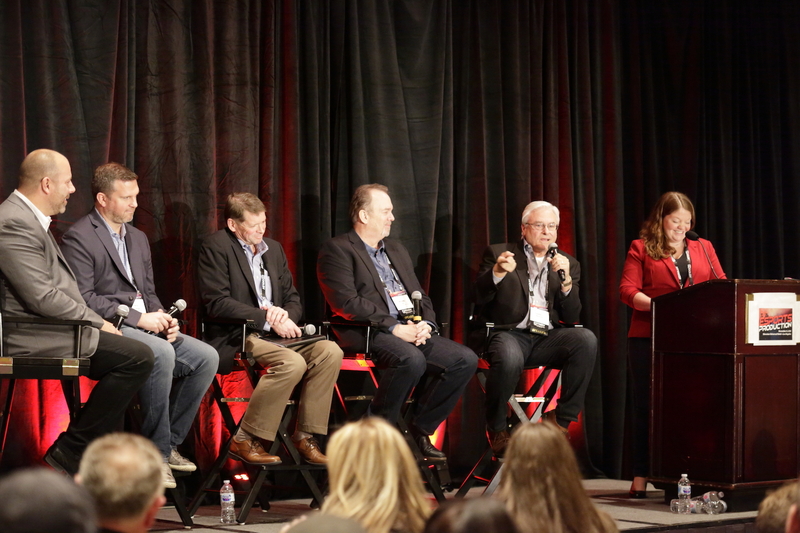 At the inaugural SVG Esports Production Forum on Nov. 6 in Los Angeles, top execs involved with the design and technical integration of recent efforts took the stage to offer a deep dive into control-room, video, and audio capabilities. Perhaps the most important consideration in designing an esports facility and its production workflows is the need to serve both the in-venue experience and the live-broadcast/streaming experience for fans at home. For Blizzard Arena, producing an integrated show that serves both the in-arena and broadcast experiences was a guiding principle in its design and integration. The facility — like Blizzard’s arena in Taipei and MLG Arena in Columbus, OH — houses a central control room that serves both the in-house and distribution outlets. Blizzard is so adamant about using an integrated production model that it often declines to use existing control rooms at traditional venues when it hits the road for major events like the Overwatch Final at Barclays Center in Brooklyn in July. “Barclays has a really great modern control-room facility that controls all the videoboards; we didn’t use it,” explained Pete Emminger, senior director, global broadcast, Blizzard Entertainment. “The reason we didn’t use it, we operate as a completely integrated show with one control and [in-venue] screen controls in the back row. We do not operate as a two–control-room show. Ross Video Director, Sports and Live Events, Kevin Cottam, who played a major role in development of HyperX Esports Arena, compared the integrated–control-room model used in esports with that of the growing number of ESPN3 college-sports shows, which typically produce a single feed for the streaming and in-venue shows. Audio also plays a major factor in design of an esports-specific venue. Since shoutcasters call the event over both the PA system and the live stream, workflows must deliver the best possible experience to both audiences. Although esports-specific arenas have popped up all over the world, the majority of esports events still take place in traditional sports and entertainment venues. Although erecting an entire arena solely for esports requires extensive investment upfront, the long-term advantages are numerous. Leading sports-facility-design consultant Robert Jordan CVE argues that building an esports arena not only helps amortize capital expenditure by producing more events, thereby driving down operating expenditures, but also allows the operator to gather valuable data about fans attending the events. For Blizzard Entertainment, one of the major advantages of owning its own arena in Burbank is the ability to have direct connection to its Activision Blizzard infrastructure and expertise. For example, Blizzard Arena’s observer room — which produces the in-game action for Overwatch League, including live first-person POV, Free Cam, cinematic-style, and frame-by-frame “bullet-time” coverage — receives almost daily internal feedback in order to constantly improve on the coverage. In addition, Blizzard Arena is fully tied into the company’s corporate IT backbone, providing full connectivity to its Irvine, CA, campus and throughout the world. In addition, the arena has constant access to the Activision Blizzard’s IT network support, Operations Center, and development team. Perhaps the greatest challenge in producing live esports events in a third-party venue is securing the massive amount of bandwidth necessary to create and distribute the content.